Charming grounds, wonderful amenities and a perfect location, welcome you to Club Abbázia. 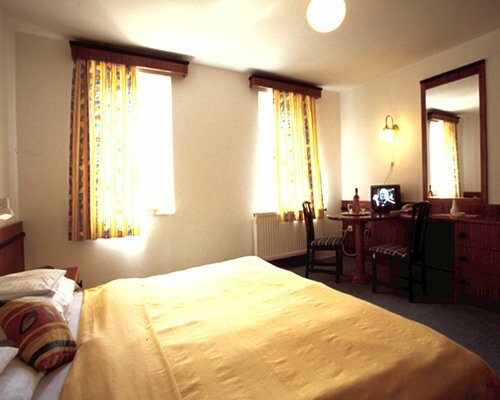 The resort is close to the city centre and majestic Lake Balaton. 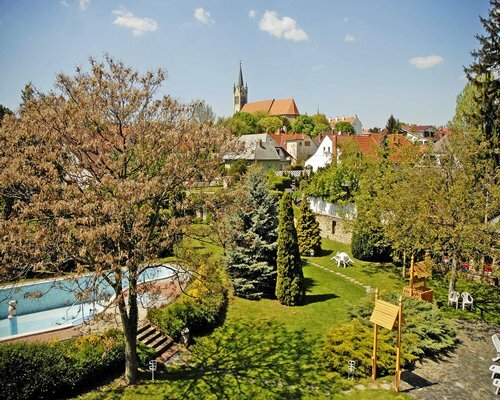 Enjoy the garden with an outdoor swimming pool and sauna. 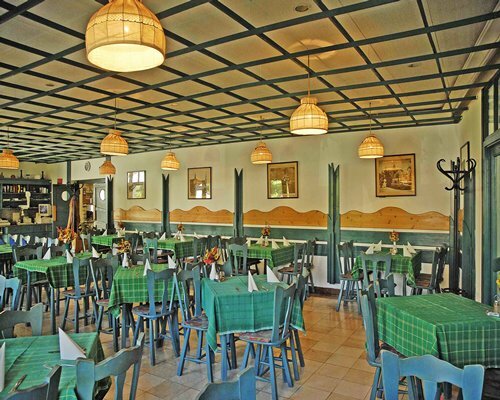 After a day of sightseeing or lakeside activities, have a relaxing meal at the resort's restaurant. 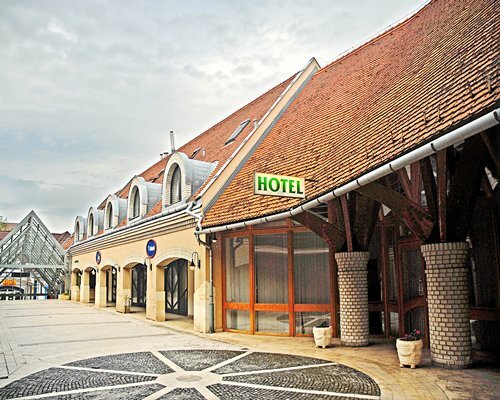 The famous Héviz thermal spa is only about six kms away from the resort. The Héviz Thermal Lake is the largest thermal lake in Europe, and is renowned for its medicinal properties. 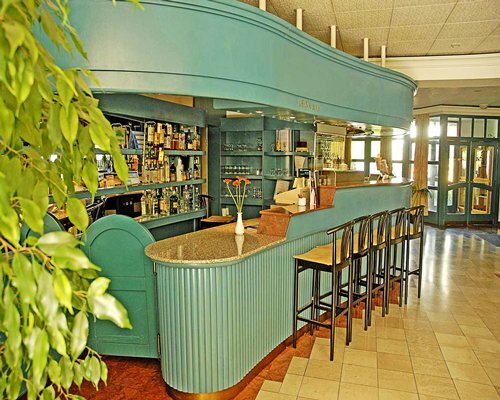 Settle in with a choice of accommodations, all with comfortable facilities. Club Abbázia is perfect for vacationing families or couples enjoying a getaway. Units consist of studios that sleep two to four guests, 1-bedroom units that sleep up to four, and 2-bedroom units that sleep up to six. 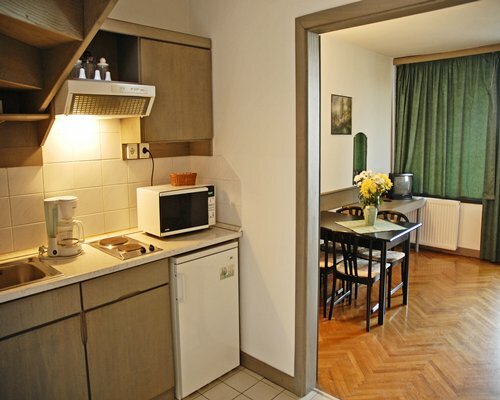 All accommodations come with kitchen facilities that include a microwave. 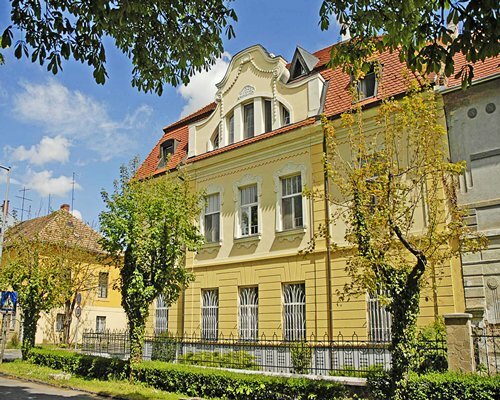 Keszthely is set on the western shores of Lake Balaton, the largest lake in Central Europe. The town offers an interesting combination of a historic and cultural center, with many fine buildings and museums. 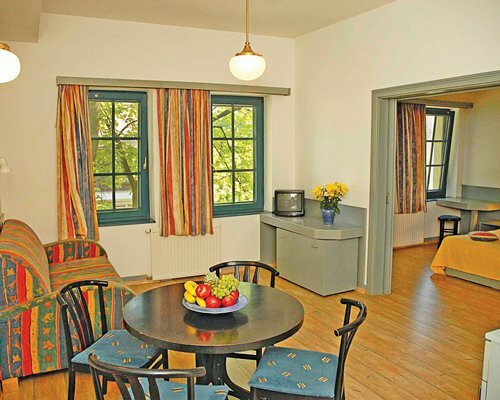 It also offers a relaxing lakeside holiday retreat, with beaches and a wide range of water sports. Visit Festetics Castle, the third-largest castle in Hungary. 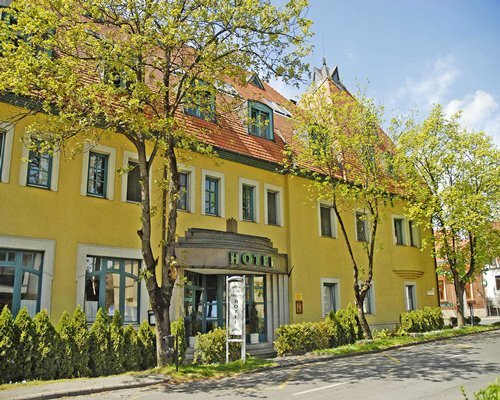 Explore the Lake Balaton Museum and the Helikon Palace-Museum. From Vienna airport (200 km): take the road to border cross Eisenstadt/Sopron. In Hungary, stay on road nr.84 to Balaton until you reach road 71 to Keszthely. At Keszthely, turn left at the traffic light and then turn right to Malom utca. Then turn left and right again into Csany L. utca and you will see the yellow main building. 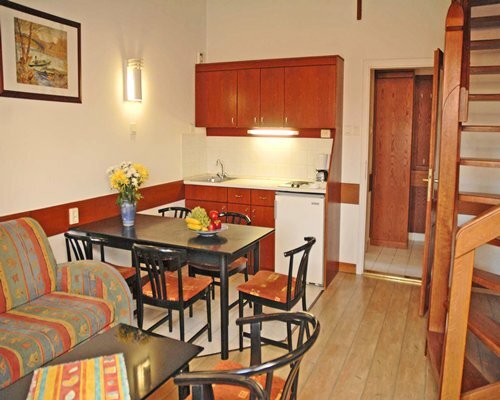 From Budapest airport (220 km): take direction city centre and then highway M7 / road no. 7. to Balaton. Take Exit 170 to Keszthely/Heviz (road 76 direction Zalaegerszeg, then road 71 to Keszthely.) At the city centre roundabout, turn right and follow the road. Abbazia will be on your right. Mandatory Tourist Tax is 450.00 HUF (Hungarian Forint). Cash or Credit is accepted.